- Removed all ads from game. - Removed the word 'flow' from title because we were forced to by the creator of Flow Free. 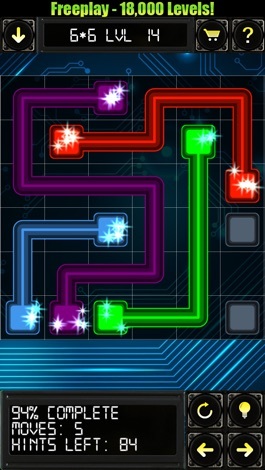 Wire Storm is a fun and challenging logic based puzzle game for all ages. Train your brain by connecting wires so that the electricity can flow between the endpoints. Connect the matching endpoints with wire so that electricity can flow. All the wires must be connected and the entire board must be covered to solve the puzzle. The wires will disconnect if you cross/overlap them. *18,000 Levels (All 100% free). *iCloud Sync, continue where you left off on any device. *Earn 1, 2 or 3 stars depending on how well you do. *Challenge friends to beat your score. *Choose your circuit size from 5x5 to 16x16 to adjust difficulty. *Play either Quick or Normal depending on how much time you have. *Choose your circuit size from 5x5 - 10x10. *View challenges from friends without leaving the game. 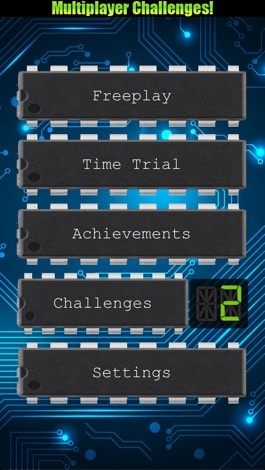 *Tap on any challenge to be taken to the appropriate game mode for beating the challenge. *Easily challenge friends and send them a custom message! *Share your score through social media. *Get free hints when you share socially. *Turn on letters for each node if you are color blind or it makes the game easier for you. *Adjust the background opacity of the puzzle. 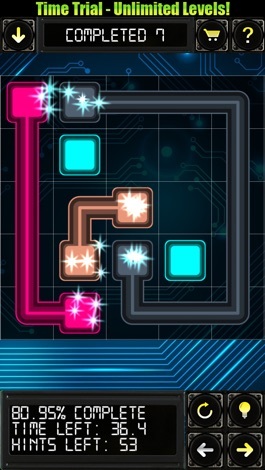 You can have a bright background for colorful gameplay, or turn it all the way down to see the nodes better. 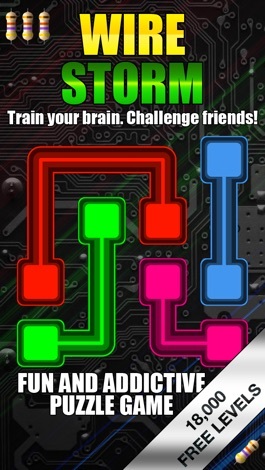 Highly recommended for fans of puzzle apps such as: Flow Free, Toobz, Unblock Me, U Connect, Trainyard, Blokus, Legor2, Geared, Glass Tower. SCORE AND TRACK YOUR GAMES LIVE! Simple Setup: Enter your players, select your course and PLAY! Connect to an existing game in a tournament and score it LIVE! Check out this fun and addictive animal running game. Join forest hero as he jumps through obstacles. Don't get hit by the red spiky monsters or flying creatures. Fun for all. Try it for free!